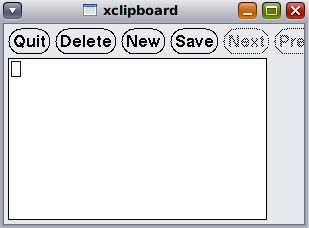 I work with a couple of guys who are quite stuck in their ways and are quite reliant on old tools, one of which is xclipboard(1). Of course, ps(1M) will show no clipboard related processes running. This is because the functionality is performed by Gnome itself, I believe, as part of the functionality of gnome-settings-daemon. One of my colleagues gave me the challenge of getting xclipboard working on Gnome on OpenSolaris/Nevada, ie Gnome 2.6, and I found it quite easy to do in the end. 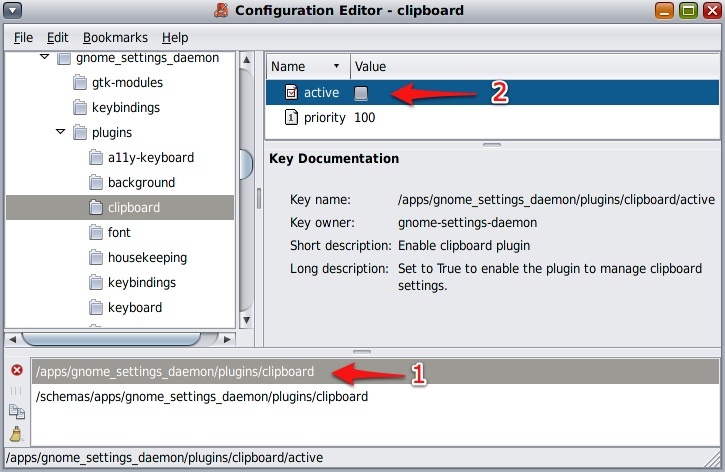 In the window that opens, go to Edit -> Find and search for "clip"
That's it. xclipboard should now work with Gnome. * The log out /log in is needed for the change to take effect without any adverse effects. Unfortunately my results were quite inconsistent if I didn't log out after making the gconf change. The log out/log in was the only thing that kept things consistent. Your mileage may vary. This change works under Linux too.